Bhattarika Temple is one of the famous Hindu temple of Odisha which is situated in Athgarh of Cuttack district in State Odisha. This famous temple of Bhattarika is dedicated to Goddess Bhattarika who is known as a demonstration of Shakti. 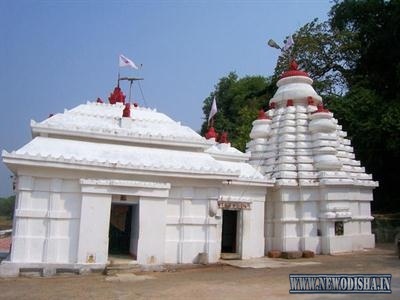 This famous temple is located at the side of the biggest river of Odisha “Mahanadi” and on the foot of Ratnagiri Hill. There is a story behind this temple. It is believed that Parasuram was faced certain defeat by Saharasjuna and at that time he prayed to Goddess Durga and Goddess Durga appered on this spot and gave him her divine power. So this Bhattarika Temple is one of the holy temple in Odisha. Other famous places nearer to this temple are Narayana, Vindhyavasini, Nilamadhava, Simhanath etc. my dear friend , bhatarika tempke is present in baramba not in athagarh. so please change it to baramba which is the correct one. Give Responses for "Bhattarika Temple of Athgarh of Odisha"